Home | Garden Birds | Male Chaffinch on frosted spruce branch. 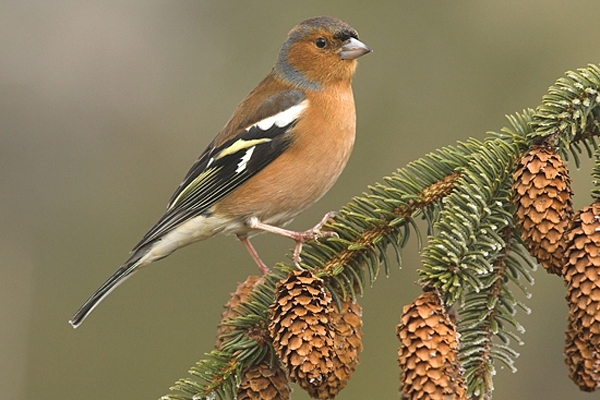 Male Chaffinch on frosted spruce branch. Photographed in my garden in Chirnside,Berwickshire.